For travelers who want to see the Golden Circle but are willing to do much more the same day – we offer the so-called Super Golden Circle jeep tour. 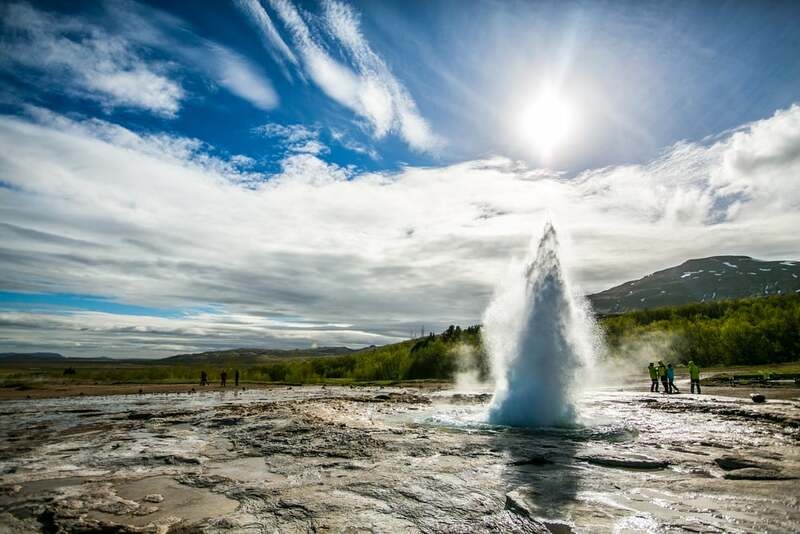 The Super Golden Circle jeep tour includes all the highlights from the classic Golden Circle day tour including Geysir hot spring, the Gullfoss waterfall, Þingvellir national park but we have added so much more than that to the day. We suggest bringing some snack like, power bar or a banana as lunch might be a bit later than usual. The day begins with a drive from Reykjavik passing the towns of Hveragerdi and Selfoss to get to Thjorsardalur. There we can enjoy the view over Hekla Volcano while driving the last kilometer before driving off the main road to reach our first destination. We take a gravel road to get to the highlands to the 122 meters (400 feet) high Háifoss waterfall Iceland’s second highest waterfall (according to legend, an ogress lived by Háifoss who tried to pull a teenage boy out of his tent after he had thrown a rock into the river that feeds the waterfall) The view from this area is amazing and it does not matter if you are looking at the waterfall or down the glacier valley. After enjoying the waterfall we drive down to the Small Valley Gjain. Here we do a hike/walk about 45 minutes (including time to stop for pictures). This small valley features small waterfalls, volcanic formations, and impressive rock cliffs and is one of the game of thrones filming locations in Iceland. At the end of the walk back we visit the farm Stöng, which was reconstructed from ruins dating back to the Commonwealth era in Iceland (the farm was buried underneath when the volcano Hekla erupted in 1104). 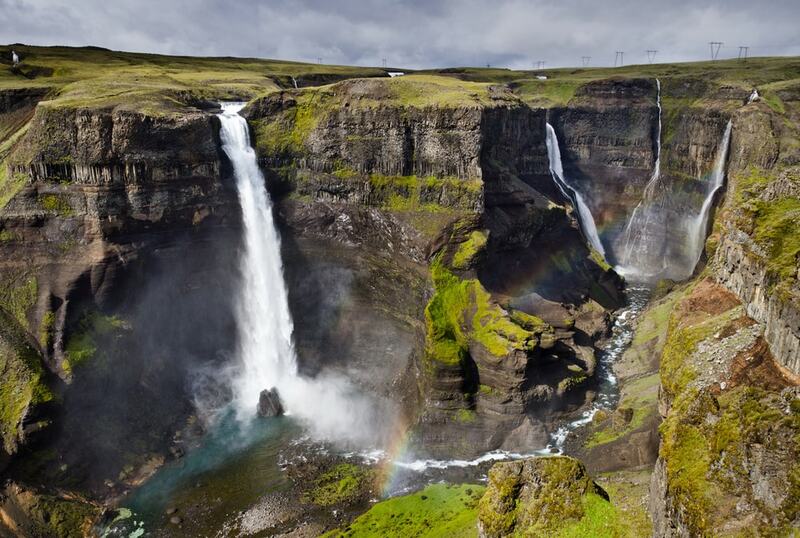 Next stop on our list is Hjalparfoss waterfall. Hjalparfoss means Help waterfall, the reason for that is when Icelanders were traveling from the north to the south the grassy fields below the waterfall was a big Help for the horses after walking the barren highlands for many days. There have been quite a few marriage ceremonies performed in front of the waterfall, given that two rivers becoming one is a powerful image for love. Before or after lunch depending on how hungry people are we visit the Secret lagoon hot spring in Fludir a natural geothermal hot spring (entrance included). 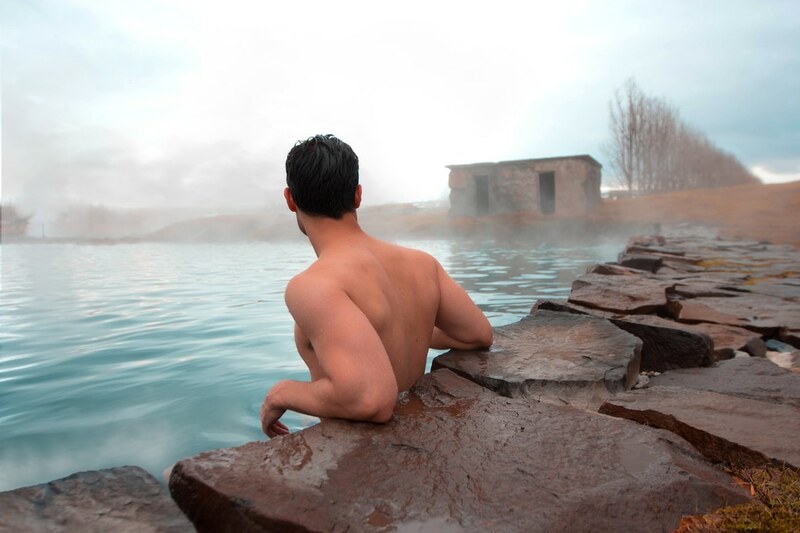 The Secret lagoon is was used by Icelanders from 1891 and is the oldest swimming pool in Iceland. The area around it has several hot springs floating into the lagoon so the water naturally stays at 38-40 Celsius all year. After lunch at Friðheimar greenhouse (a tomato farm) or some other place. We head to Geysir Geothermal area. Here you can see the original Geysir. 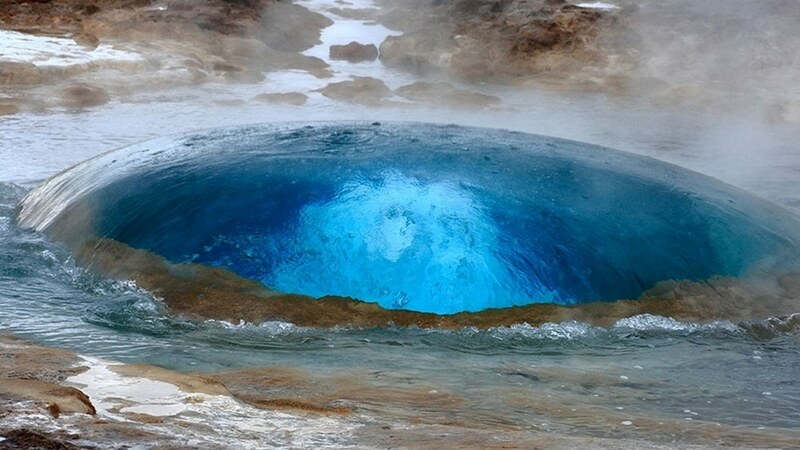 He has been quiet for the past 10 years but his little brother Strokkur is very active and erupts every 5-8 minutes shooting water 30 – 40 meters into the air. 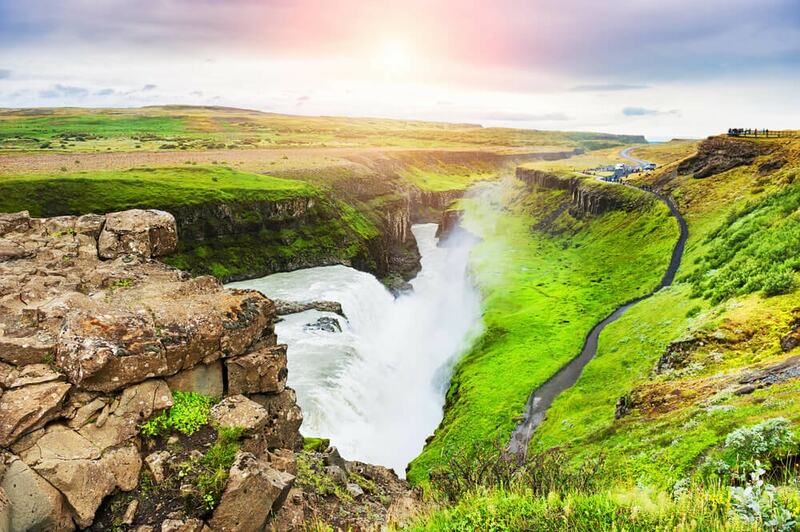 About 10 minutes away from Geysir Is Gullfoss waterfall who plummets down 32 meters in two stages into a rugged canyon which walls reach up to 70 meters in height. 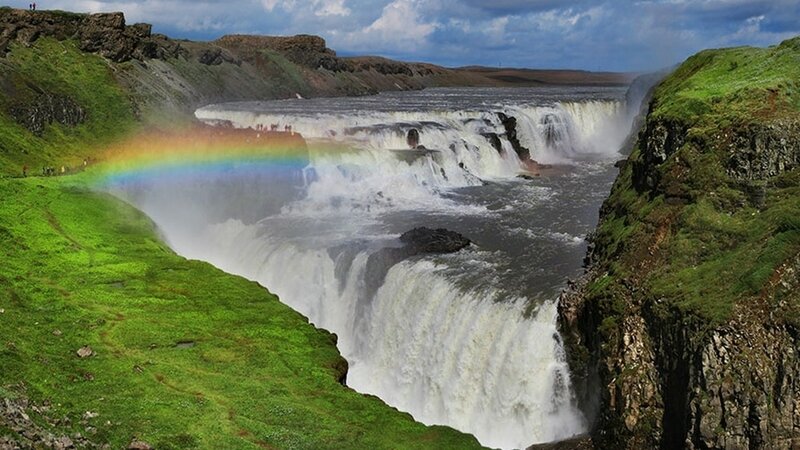 On a sunny day, a shimmering rainbow can be seen over the falls. Before the day ends we drive to Thingvellir national park, where the oldest still active parliament in the world was established in the year 930. In Thingvellir, the American and Eurasian tectonic plates are drifting apart about 0.75 inches each. From Thingvellir, there is about 25 min drive back to Reykjavik. 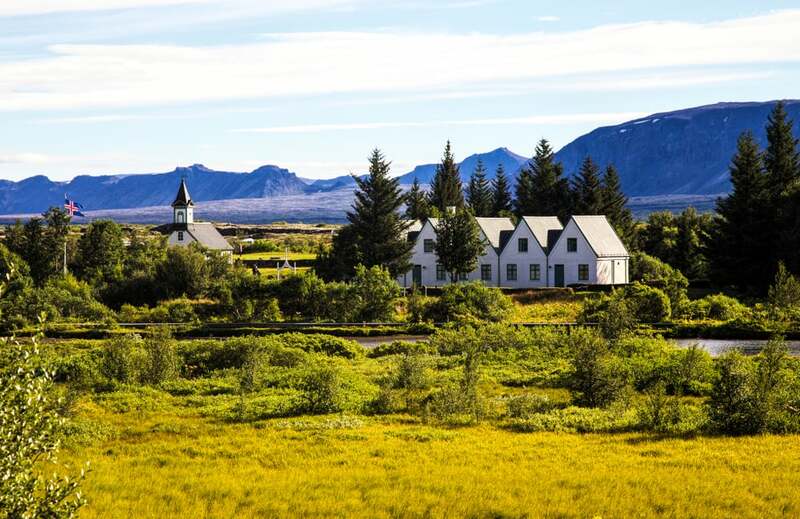 If you are looking for a value jeep tour in Iceland that takes you out of the beaten path to places that not many tourists go too but you still let you see the most popular attractions then the Super Golden Circle jeep tour is the one for you.